Few Americans realize there are forces at play that are silently working to reshape how we are going to be able to access and enjoy our own public trust natural resources, (in this case, our red snapper), now and for future generations to come. Millions upon millions of dollars have been poured into a concept called “catch shares” in our nation’s fisheries these last few years by environmental corporations, with the full knowledge and complicity of our federal government. It is a slick campaign, put forward by public relations/marketing firms to paint catch shares as a needed “conservation” tool to restore depleted fisheries. 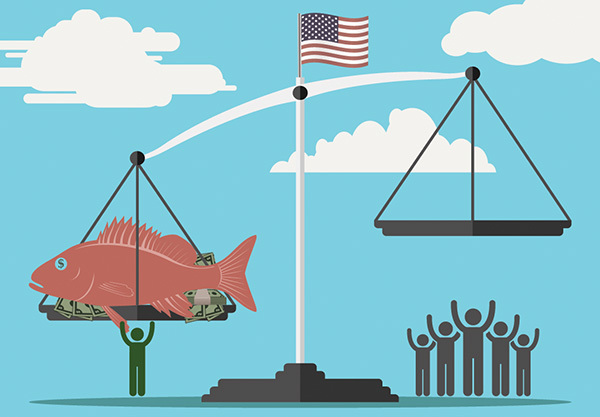 In reality, catch shares are an “economic” tool, a mechanism that converts our public trust resources into private commodities – taking from what each American owns and giving it to a few well-connected corporations free of charge. The name does what it implies; taking what they catch, and converting them into shares, similar to shares of stock on Wall Street where the “owners” can sell, lease or trade them for profit. When you are on the ground floor of this scam, it is a massive transfer of wealth from the many (all Americans) to the few, and we are talking hundreds of millions of dollars here. Unlike other public resources like oil, gas, and timber where rents are paid to the government for usage of the public resources, these shares are being granted to favored groups free of charge. To add insult to injury, the resource rents are diverted and paid to the corporations each year instead of to the nation, and the shares handed down to heirs as assets for generations to come. In my opinion, this is grand felony theft of the highest magnitude and nobody is being held accountable. In the case of Gulf of Mexico fisheries, catch shares were introduced to the commercial red snapper fishery in 2007 when the Magnuson-Stevens language was added in our fisheries law by the Environmental Defense Fund’s “Oceans Team.” This “innovative market approach” gave 51% ownership of Gulf red snapper to a few commercial fishing corporations which today I estimate to be worth around $300 million. 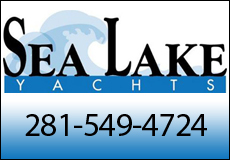 Many of the catch share “owners” have since sold their boats and don’t even go fishing at all, and instead opt to rent their shares to other commercial operations for $3.00/pound or more. Al Capone would be proud of these guys, skimming hundreds of thousands of dollars per year, per owner, off of the harvest of America’s public trust resources while the nation, nor the fisheries, benefit from one red dime. They are laughing all the way to the bank, at your expense. Now the enviro corporations, their front groups, and our own federal government are attempting to implement catch shares into our Gulf recreational fisheries. This is where I am compelled to draw the line. If these groups get their way, the days of an American fisherman taking his kids fishing, catching a fish and placing that fish in their cooler “for free” are coming to an end. You will be required to pay SOMEBODY in order to bring fish that YOU catch back home to eat. This will most likely be accomplished through the use of fish tags. 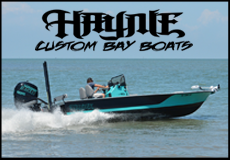 For example, recently under a pilot program for the Gulf headboats, each boat was given a certain number of fish tags with which the boat owners could utilize any way they wanted. 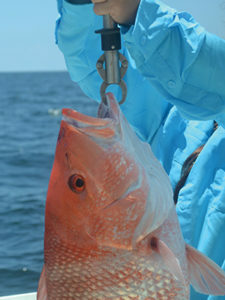 Some operations offered their normal trips at $80/person with the option of catching (and keeping) one red snapper – that is, if you purchased a red snapper tag for $25. Wow. What a deal. 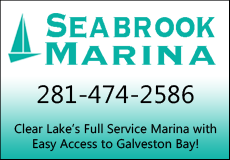 Recently, the Gulf Council segregated Gulf recreational fishermen based on what type of boat they fish upon, either a private vessel or a for-hire vessel, so that they could discriminate against one group for the benefit of the other. I find it appalling that our own federal government has resurrected failed management policies such as segregation and discrimination in order to push this privatization scheme, but that is exactly what is happening. The proof is in the pudding – 2015 was the first year that gave different season days to the two groups. Private boats got 10 days and the for-hire boats got 44 days, and the 2016 red snapper season looks even worse for the average American Gulf fisherman. Remember, these are all recreational fishermen catching the fish – it really shouldn’t matter what type of boat they are fishing from, but separating them is essential to the next step; granting ownership of the fish to the for-hire sector of boat owners. These are mafia-style tactics. Our own federal government is squeezing honest tax-paying American citizens into shorter and shorter red snapper seasons using bogus data to justify their actions, and then forcing the fishermen to accept the so-called “solution” of catch shares, or else be shut out of the fishery. 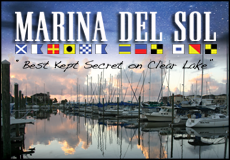 Currently, the Gulf private recreational fisherman is prohibited from fishing for red snapper in federal waters for about 98% of the year – that is unless you want to pay a charter or head boat to take you, or…coming soon on your own boat…fish tag$. The NMFS has failed all of us in this scam and needs to be fired, plain and simple. There is a bill that needs all of our support at the Congressional level; H.R. 3094 which would transfer management of the Gulf red snapper to the five Gulf states. We need to stop this privatization scheme now, as it will certainly not stop at red snapper – it will encompass every single federally-managed fish that swims in the ocean. Please contact your Congressional representative and voice your support of this bill – your kids’ and their kids’ fishing future depends on it. I sent this to every boat owner i know!!! Great article!!! People like the man in Texas we have to thank for that and politics money greed it is a shame and they all should loose their jobs.